Starting in 2010 Mobile Me enabled you to hunt down your missing iPhone (or iPad) with the Find My iPhone app. In 2011 OSX Lion added ‘Find My Mac’ to the mix. 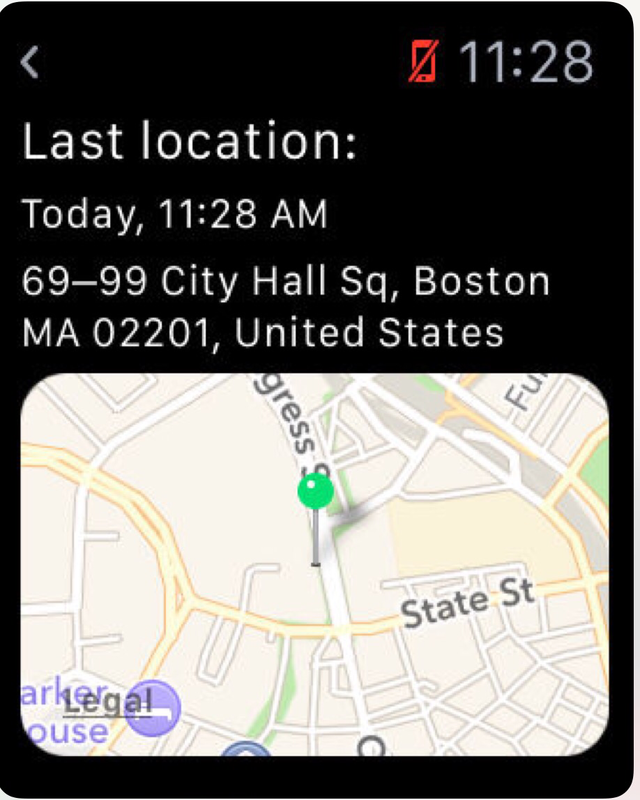 Beginning this week watchOs 3 enables iCloud to locate your misplaced Apple Watch. Until now real-time geolocation was only possible if your missing Apple Watch and iPhone were in Bluetooth range or on the same WiFi network. Since the watch does not have its own cellular signal that would seem to limit location tracking to within 10 meters or your home WiFi. Once out of range, however, iCloud now kicks in and reports the watch’s present location by GPS or WiFi triangulation. 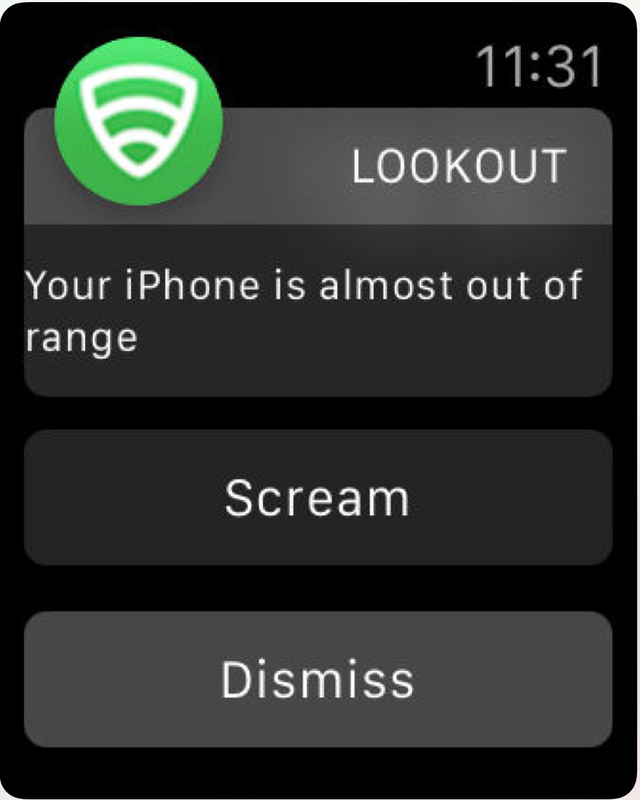 If the watch is turned off the last known location is reported. Accuracy is enhanced because the Apple Watch can still connect to previously known WiFi on its own (even when phone is physically distant). To set up this feature: open the Apple Watch app on iPhone and select “My Watch” at the bottom of the screen. 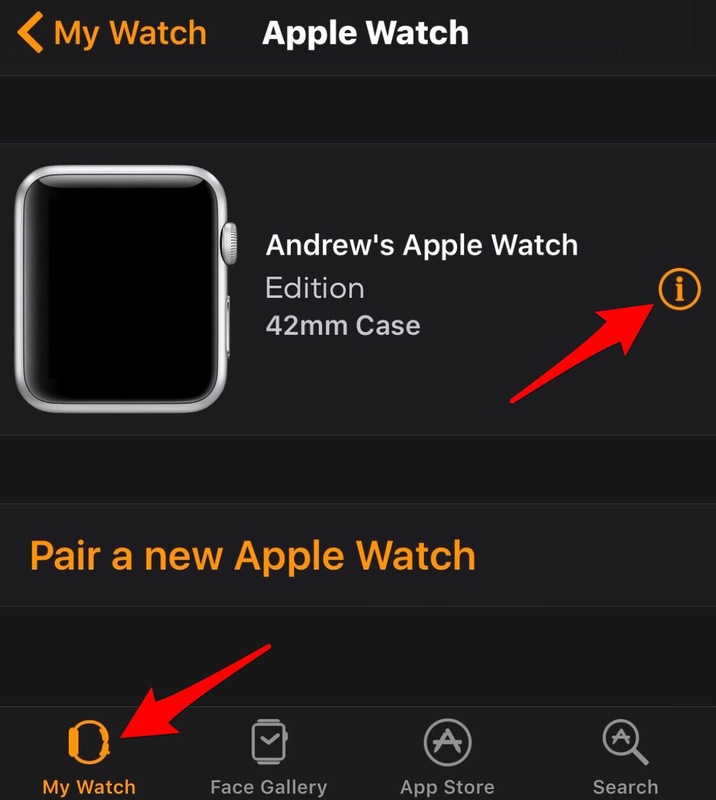 Tap the icon of a paired watch then the “ℹ︎” symbol to the right. 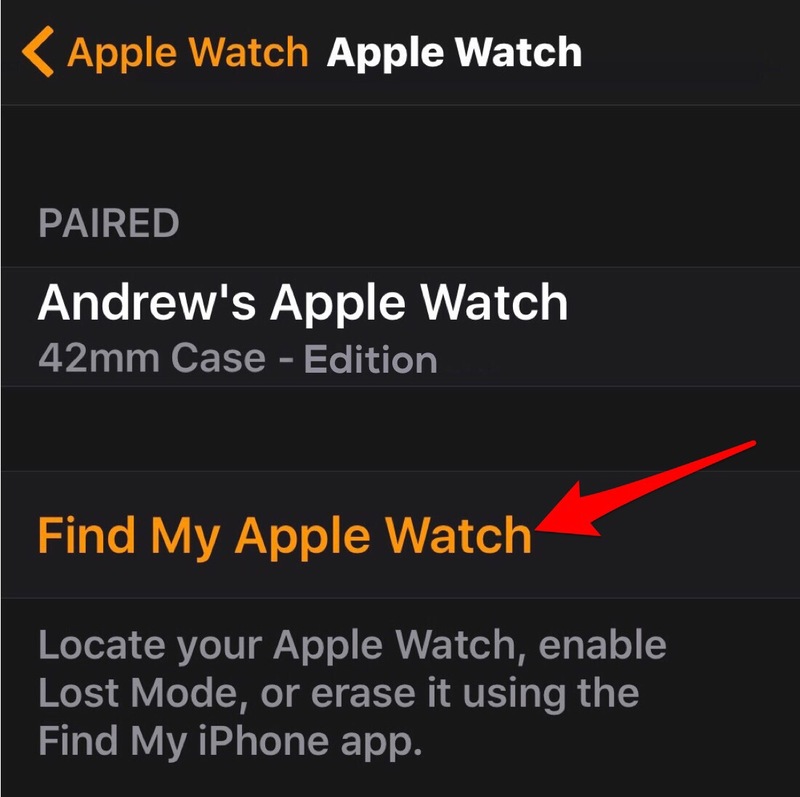 You should see the highlighted text “Find My Apple Watch“. Once selected your will get a map showing your watch’s location. 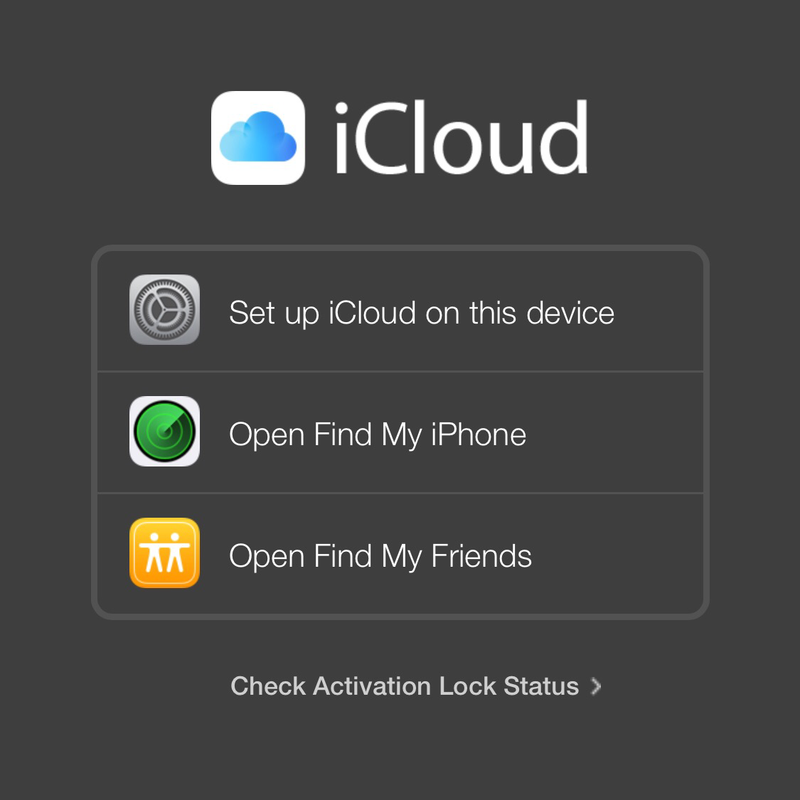 If not you should check your iCloud settings and pairing status of your phone. 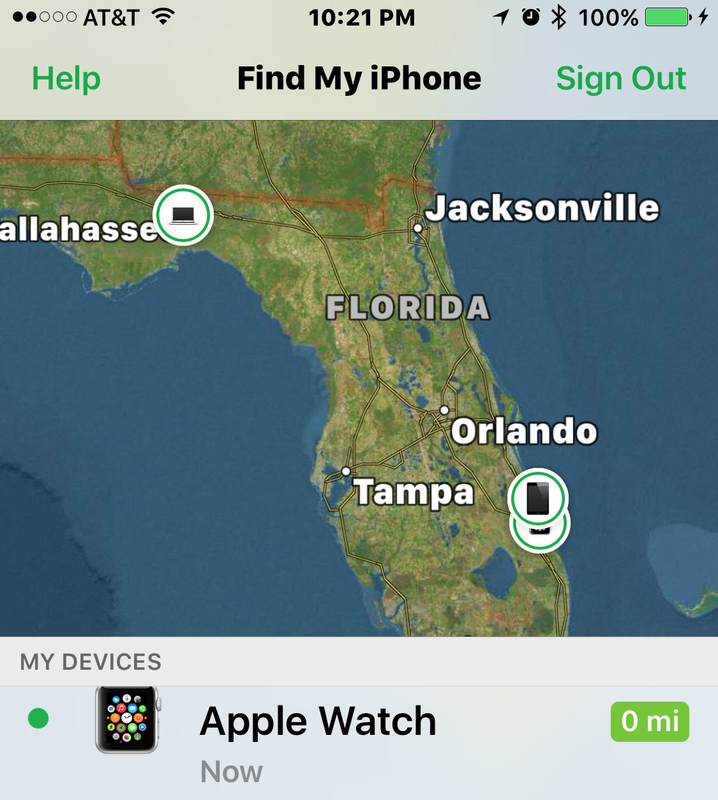 From its inception even WatchOS 1.0 could locate a missing iPhone. It included a watch glance that could ping your lost iPhone (even if the speaker was off). 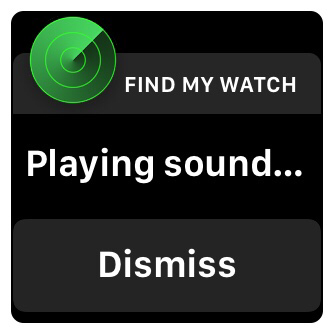 Conversely, the refreshed Find My iPhone app now employs “Play a Sound” to pinpoint a missing watch by following an audio alert to the source. The automatic implementation of activation lock during pairing and the need for passcode unlock with loss of skin contact are the original layers of protection. WatchOS 3.0 adds the ability to remotely wipe your stolen Apple Watch or freeze it in Lost Mode. 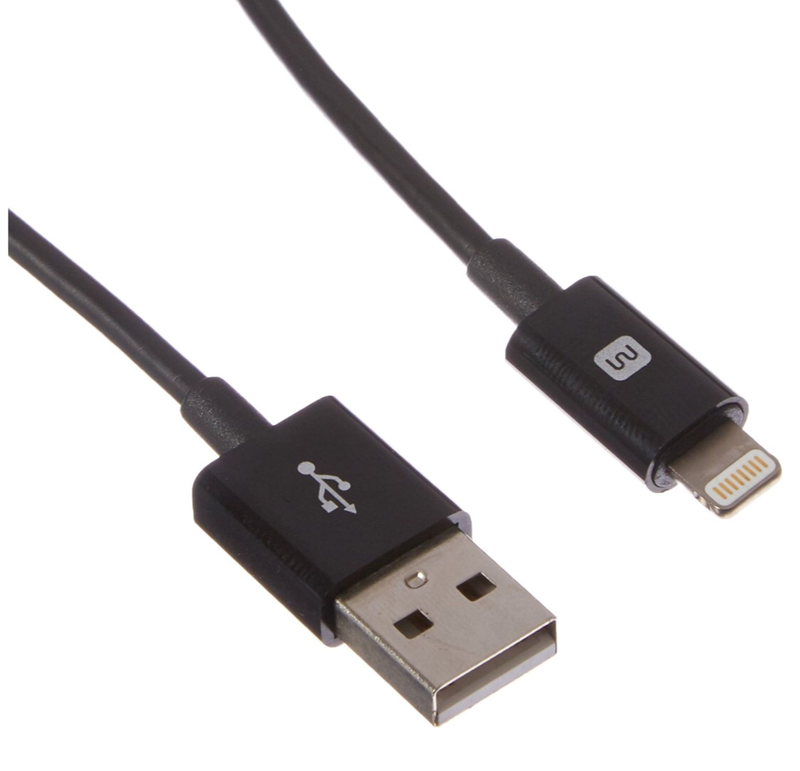 “Smart Leashing” is a feature tested extensively within Apple but only partially rolled out to the public. 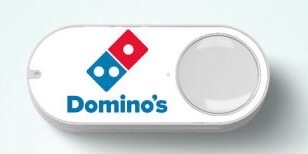 ** One concept that was not included was for the watch to tap you on the wrist if you left your phone behind. 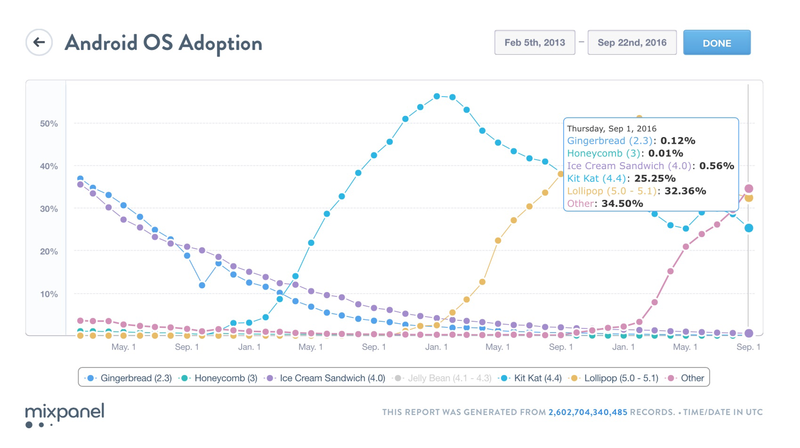 Fortunately third party developers have stepped in to create the apps that serve this purpose. 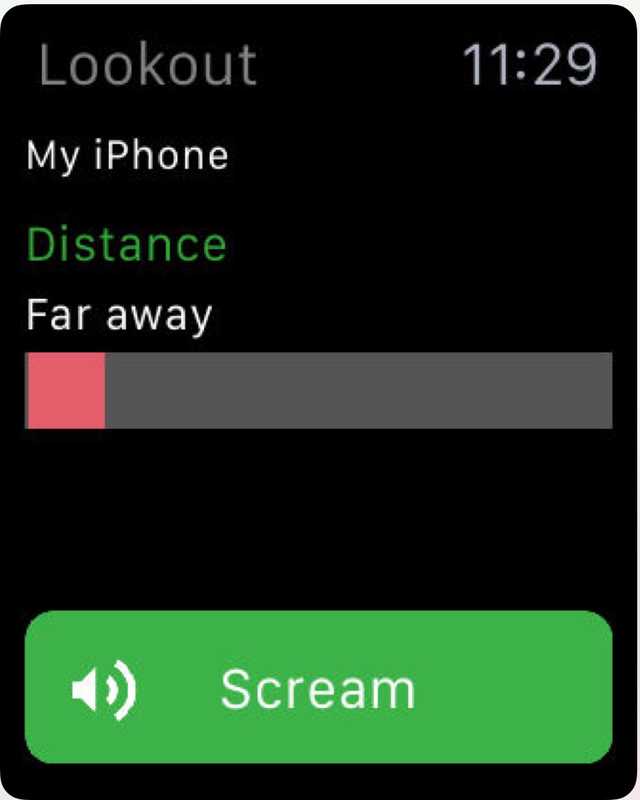 Lookout is an iOS app that monitors the distance between your iPhone and watch. 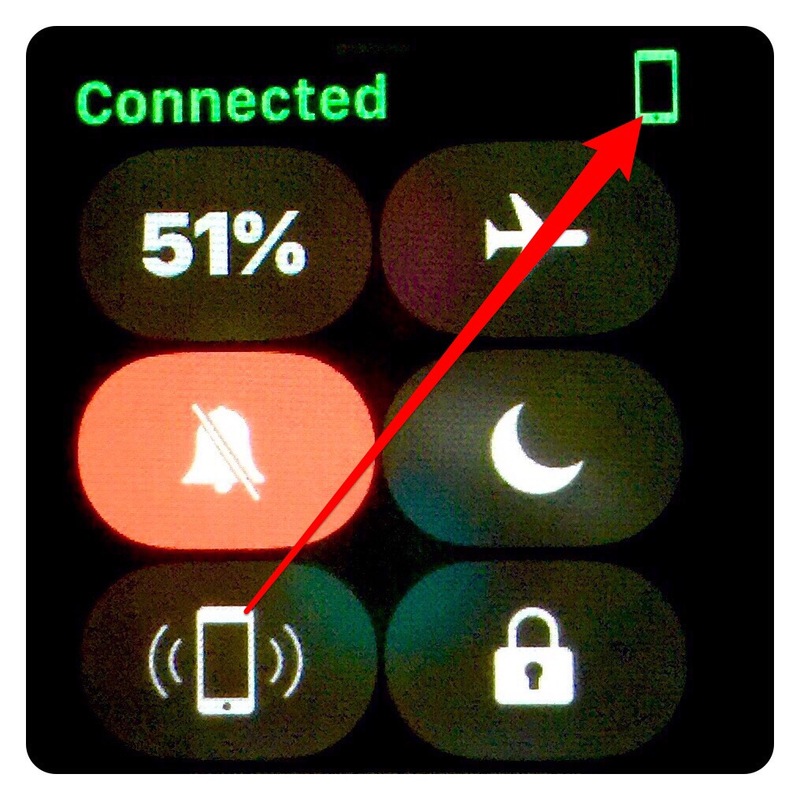 You receive a tap on the wrist and a notification on the watch screen if you are about to lose the paired connection. You can adjust sensitivity for greater or lesser separation distances. Lookout can also ring a missing phone even if speaker and volume are off. It also locates your misplaced iPhone from the watch face. It shows a map with the last known iPhone location once it’s out of range or turned off. 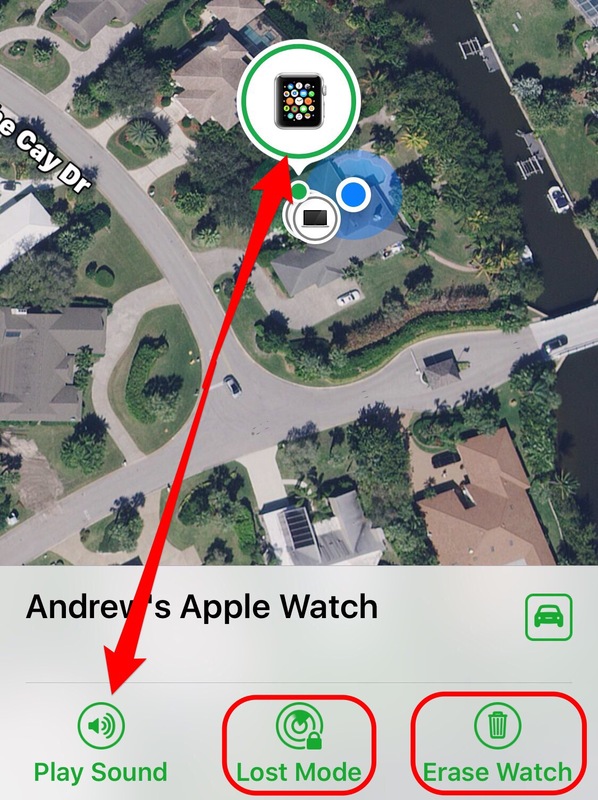 Think of the Lookout app as Find My iPhone from the Apple Watch. 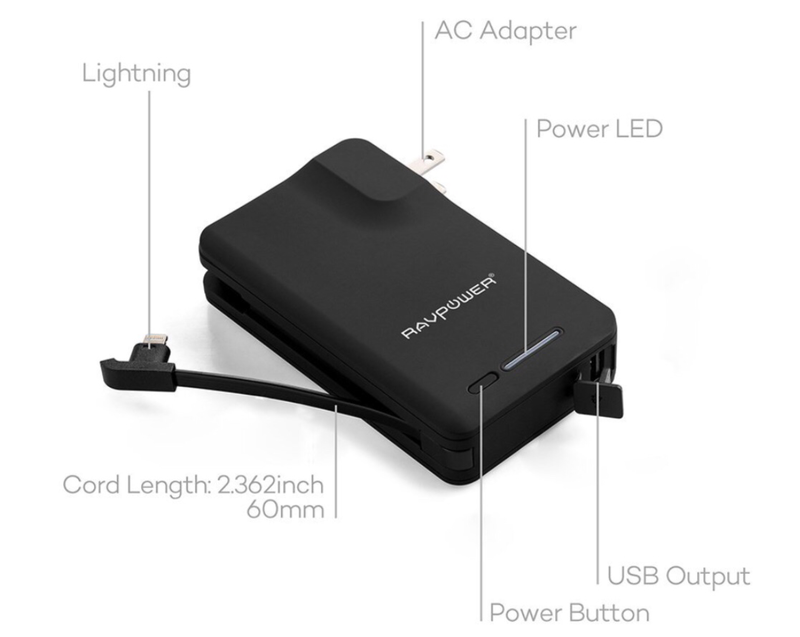 The Series 2 watch has sufficient battery capacity to power a GPS or cellular antenna – but not both. 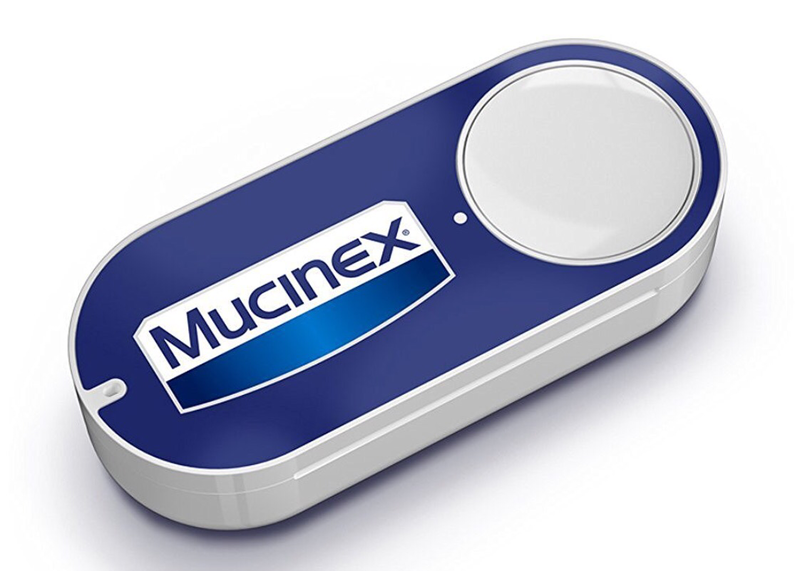 Fitness became a design priority and GPS won out. As a result the watch is still subject to the limitations imposed by Bluetooth and WiFi. It is expected that the next generation watch will be completely untethered from the iPhone. ** One variation of Smart Leashing now exists as Auto Unlock. 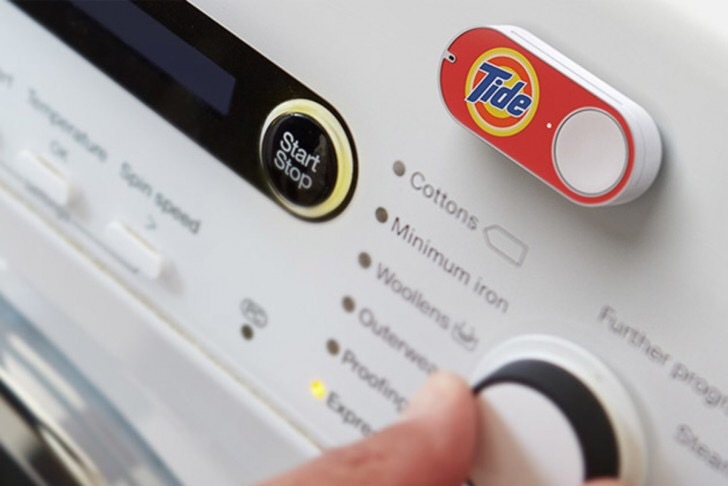 That’s the feature that unlocks your Mac when your Apple Watch approaches. 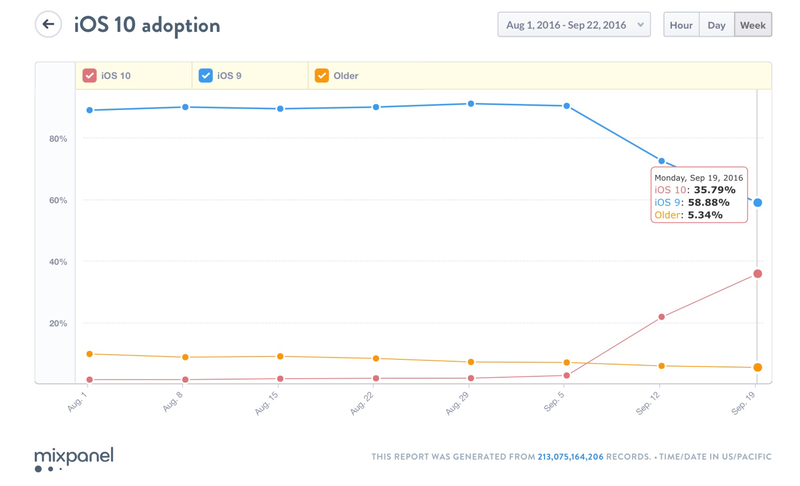 They are both offshoots of continuity between Apple devices and handoff between apps. Expect to see more of this type of inter-device awareness with macOS Sierra and the the new lines of Macs later this year. 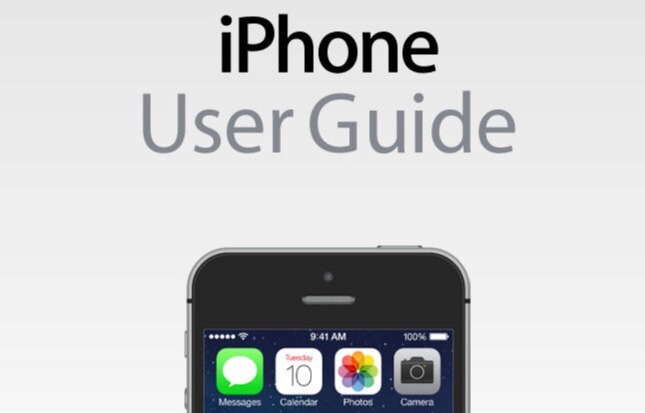 Apple has just uploaded an iBook titled the iPhone User Guide for iOS 10. It a 293-page digital download and completely free of charge. Lots of hidden features revealed.